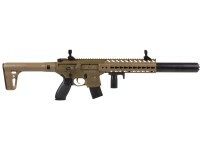 Riddle any soda can or target with 30 semi-auto shots from your Sig Sauer MCX. 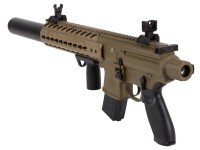 Designed for dynamic shooting sessions, the SIG MCX is based on the short-stroke gas piston submachine gun of the same name. It’s excellent ergonomics, translate into a highly stable shooting platform loaded with a 5 different keymod accessory mounts and a long Weaver/Picatinny optics rail. This setup allows for an accessory layout as large as your imagination, with possibilities for any number of lasers, flashlights, dot-sights, and grips. Each MCX includes adjustable flip-up sights and a shortened adjustable vertical grip, with sling mounts located on the forend and rear stock. 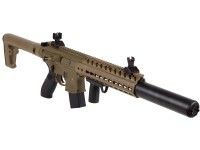 To complete the look, the MCX has an elongated barrel surrounded by a shroud that looks like a long suppressor. 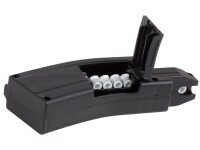 To begin shooting, load up your 88 or 90-gram CO2 cartridge into the rear stock, and load your pellets into the innovative rotary-belt magazine and start blasting away. 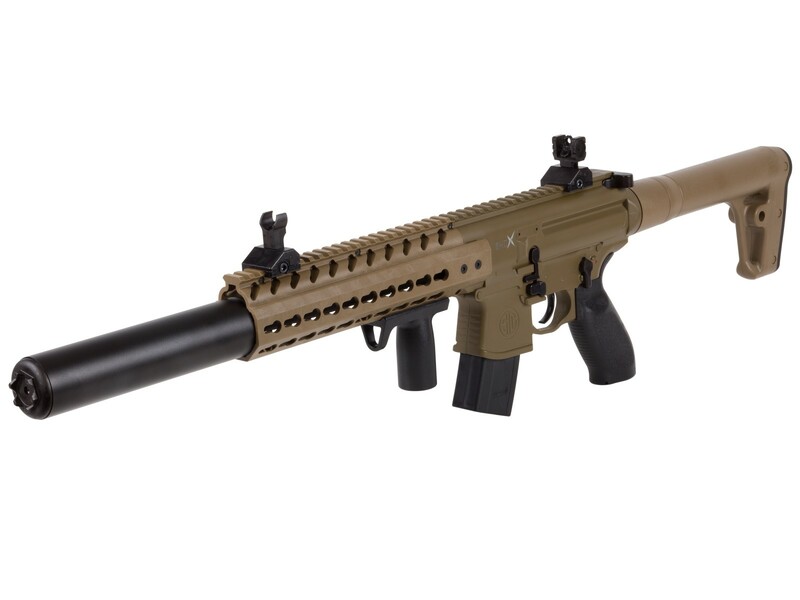 The SIG Sauer MCX is sure to please fans of fast-paced tactical shooting and deliver hours of backyard shooting fun. Things I liked: Really over all great gun.its really realistic. I have to be careful where i live. Because it looks so real.feels like a real gun in your hands. Things I would have changed: Its pretty accurate at 100ft its grouping about the size of a quarter. But ever 5 to 6 shots you get a stray thats about 2in out.could just be the pellets. Things I liked: It has the weight and feel of an actual AR type platform. Feels good to my hands. Sights are fairly easy to adjust once I figured out how the strange looking tool that came with it works. 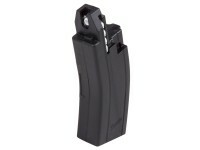 It really is a 30 round rotary belt magazine. I carefully went over everything. Most of the AR parts are just for show and do not function but they do look like they would work. The hammer is fairly light and smooth so I won't complain about that. It's nice that it has a tool storage in the pistol grip. I was a bit worried I might lose that tool. The barrel shroud is metal and heavy so I'll need to get used to that. No real grumbles about it. Things I would have changed: The rotary belt you put pellets in I found a bit confusing. I had to be very careful to keep it oriented properly so I didn't load the pellets in the wrong way which could be a problem. I got to remember silver front white back. What others should know: Really nicely built gun. I have not been able to shoot it yet since 88 gram co2 is a hard thing to find where I live and I did not buy the pcp bottle kit. 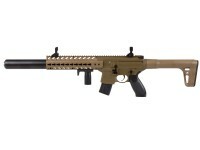 Can I shoot steel or copper or lead BBs in this MCX? I know steel will erode the rifling over time but what about the other choices? Will they work in the magazine belt? Can't find anything in the owners manual. Do hollow points work in it?